Oh the underground food revolutionaries. Oh the delightful illicit dairy products. The covert wholegrain homebaked crusties. The kitchen jam, the runny custard. These are the pleasures of un-industrial food production and processing-many are the hedonist heros who hold safe traditional food-preparation techniques and technologies. Vote with your fork! Domestic Artistry! Boycott the microwave, barricade the ready-made, eshew the saran wrap. marinate. liberate. celebrate! 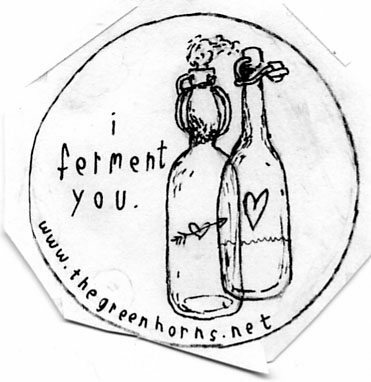 check out wild fermentation here.